As the federal government increases immigrant detention and attempts to end the Deferred Action for Childhood Arrivals (DACA) program, many California colleges are finding new ways to help undocumented students succeed and get assistance to their families as well. The latest effort is the California Campus Catalyst Fund, established by a group of educators, funders and advocates, and administered by the nonprofit organization Immigrants Rising, which announced last week that it has awarded grants of about $125,000 each to 32 public colleges and universities across the state. 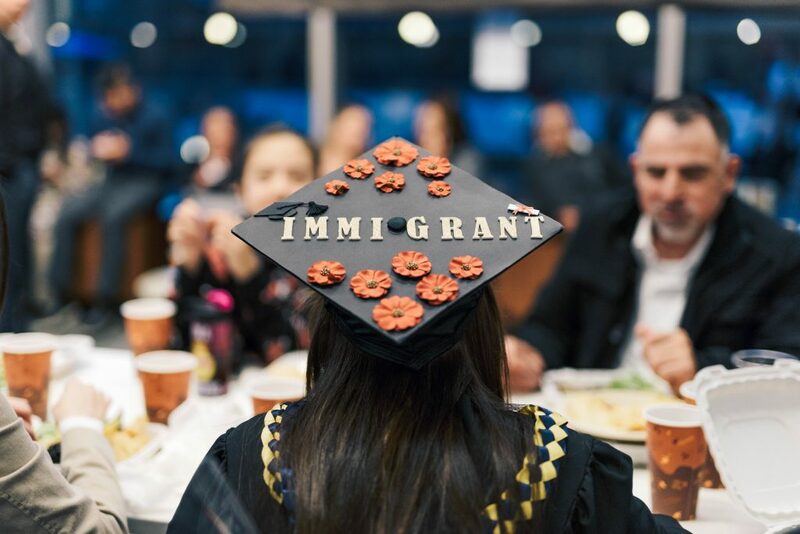 Immigrants Rising, which works to help undocumented youth meet their education and career goals, is providing the grants to expand legal aid, mental health services and career guidance to undocumented students. The funders are also taking the unusual move of assisting students’ undocumented family members with services that range from legal consultations and mental health therapy to workshops on how to become an entrepreneur and civics classes teaching them how to participate in a city council meeting. With more undocumented residents in California than any other state, their ability to make it through college and gain a foothold in the labor market could make a difference for the economies and overall wellbeing of their communities. Student Salvador Cruz Matus said the support provided by the Catalyst Fund is crucial for undocumented students’ success. Born in the tiny town of San Juan del Estado, Oaxaca, in southern Mexico, Cruz Matus came to the U.S. when he was only three months old. By the time he started college at UC Santa Barbara five years ago, he had lived his entire life in California, without immigration papers and with the fear that he could be deported. He said he was struggling to pay for books and food, eating only once a day at most and failing most of his classes. Feeling he had no one to turn to, Cruz Matus eventually stopped attending classes and the university dismissed him. After returning to community college and transferring to Cal State University San Marcos in San Diego County to study biotechnology, he now speaks at high schools to encourage other undocumented students to attend and stay in college. He applauds his campus for applying for one of the new grants, in partnership with nearby MiraCosta College. The challenges Cruz Matus faced in his first year at college are common among undocumented college students, of which there are an estimated 72,300 enrolled in public colleges and universities in California. Nationwide, undocumented students frequently feel isolated on campus, have significantly elevated levels of anxiety and report that financial struggles make it harder for them to stay in school, researchers at the Institute for Immigration, Globalization and Education at UCLA found in 2015. 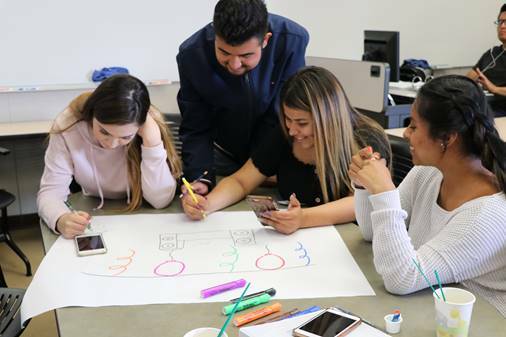 Students at Hartnell College in Salinas work on a group project. Hartnell is one of 32 public colleges receiving grants from the California Campus Catalyst Fund. Faculty and staff at colleges around the state say the current political climate has made it even harder than before for students who are undocumented to get through college. The colleges are using the funds to staff resource centers for undocumented students, start up textbook loan services, so undocumented students can borrow books they need for classes, and offer legal assistance, mental health therapy and career workshops on how to be an entrepreneur or start a business. In addition to those students who are undocumented themselves, a far greater number of California college students have undocumented family members. The colleges are offering many of the same services — like legal consultations and mental health therapy — to families, as well as offering other workshops tailored specifically for parents. At Hartnell College in the agricultural city of Salinas, for example, administrators are partnering with students who speak indigenous languages from Mexico, such as Mixteco and Triqui, to produce videos in their native languages for indigenous farm-working families about the steps to apply for college and financial aid. The funders say it’s important to offer services to families, because it helps students concentrate on their studies. The Catalyst Fund, which has so far raised almost $10 million from 12 private foundations — including the Evelyn & Walter Haas, Jr. Fund, the James Irvine Foundation and the Weingart Foundation — follows on the heels of steps California universities and lawmakers have taken to support undocumented students in recent years. Though undocumented students are barred from receiving financial aid or loans from the federal government, California law allows undocumented students to pay in-state tuition at public colleges and universities and to apply for Cal Grants and other state financial aid through the California Dream Act, if they have attended at least three years of high school in the state. The University of California has allocated $12.5 million for services for undocumented students attending their 10 campuses, in addition to setting up a loan program and providing legal services. UC campuses and many California State University campuses have set up “Dreamer Resource Centers” where students can go to study or get counseling and peer advice. The director of the California Campus Catalyst Fund, Victor Garcia, said the fund is focusing on campuses that had fewer resources available, rather than those that already have robust services. The fund received 85 initial applications last spring. Of the 32 campuses selected as grantees this year, 27 are community colleges, four are California State University campuses and the remaining one is UC Merced. “Given the current climate, students need to know there is a place they can go and interact with staff and seek guidance and mentoring and even peer advice so they don’t have to be grappling with everything that’s happening right now in isolation,” Garcia said. EdSource receives funding from several foundations, including the Evelyn & Walter Haas, Jr. Fund and the James Irvine Foundation. EdSource maintains sole editorial control over the content of its coverage. It is the most crucial movement to accept that most of America is founded on immigrants. What an awful program. We have so many actual citizens that are struggling with tutition and are in need of social services yet we seem to value illegal immigrants above them. Why? Shouldn’t we have our focus on our citizens first that need help? It’d be nice if this program also helped fast-track their citizenship. I think it’s more than reasonable to allow individuals who are working or getting an education to be allowed an expedited avenue for getting their documentation (similar to how military service used to be a fast-track process).